The RollerCoaster Tycoon series has gained renown due to its fun management gameplay, which lets you build and run a theme park, making sure it’s a hit with those demanding park-goers. And despite the fact that the latest RollerCoaster Tycoon game didn’t end up becoming a success (it was amongst 2016’s lowest-rated games, truth be told), the series still has a following worldwide. 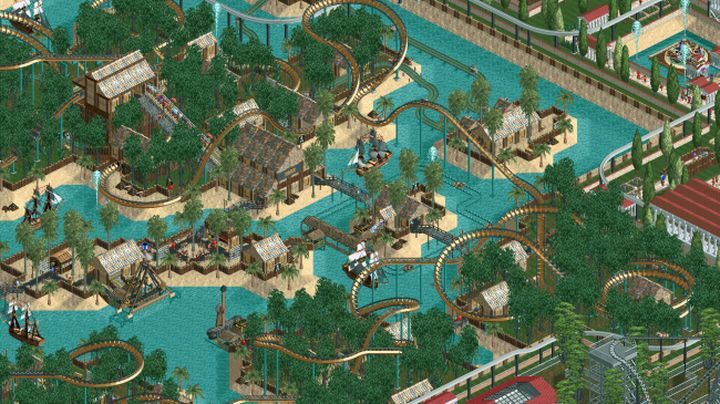 And one fan has amazingly spent a decade building the park of his dreams in RollerCoaster Tycoon 2, meticulously placing every nook and cranny by hand. “My favourite is definitely the pirate area”, Sebastian Brendgen told PC Gamer, adding that “It turned out so well with the giant coaster that just barely tops the trees and jumps from one island to another”. Brendgen laid out his dream park on a 254×254 grid, placing each tile individually, so you can imagine there was quite a bit of work involved here. Also, aside from Brendgen’s favourite pirate area, the park has other themed zones, including one based on the Middle Ages (which even features a rollercoaster which loops through several castles). One RollerCoaster Tycoon fan spent a decade building this. 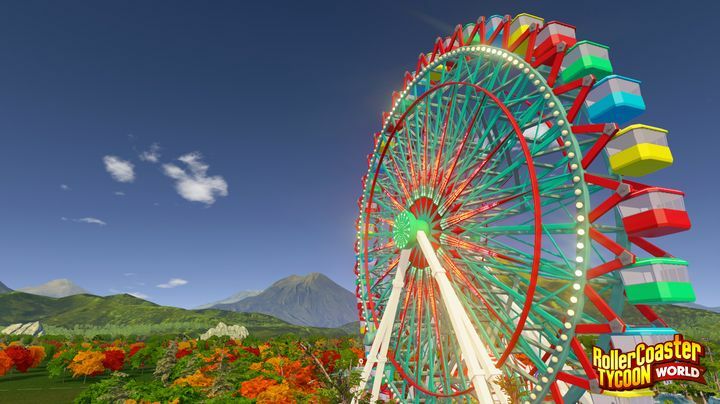 Brendgen also discussed his park-building process with PC Gamer, saying that “most of the time I didn’t know what to improve so I just logged into the park and watched all the rides and peeps until I got another idea”, and also revealed that he would play his park ideas even for a month until he was happy with the results. Heck, even the park’s entrance went through several revisions until Brendgen settled on one version, such was his dedication to the project. But the man had to deal with several limitations too, such as the fact that the number of attractions and shops he could place was limited, and also the fact he could not switch out unneeded scenery to replace it with scenery he actually wanted to use at times. There were also AI issues, with the park’s virtual tourists being unable to find the exit at times, something that inevitably dragged his park’s rating down (Brendgen solved the issue by picking up the park visitors and dropping them near the exit in the game). Of course this is just a theme park built in RollerCoaster Tycoon 2 game, so it’s clear we will never get to see a theme park like this one in real-life… But it’s still great to see what one player can come up with given enough time and effort, proving that modding and user content are still one of the best aspects of PC gaming.